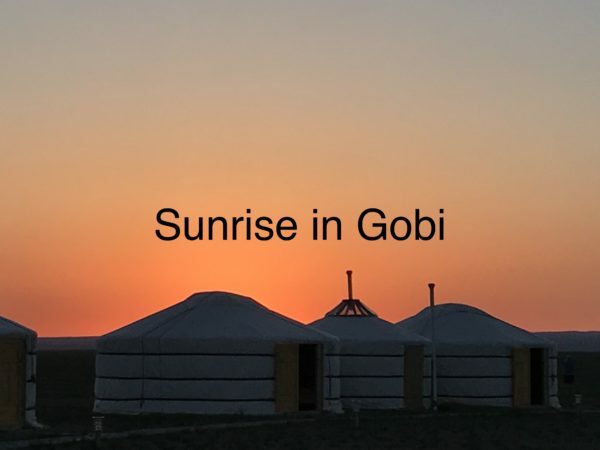 We (Mindy and I) took the Overseas Adventure Travel (OAT) tour to Mongolia and the Gobi Desert in June 2018. Here are some general comments and you should feel free to email me with any specific questions. My email address is at the end. OVERALL: This was one of my favorite OAT Trips (we’ve taken 10). If you are thinking of going to Mongolia … do it NOW (rather than waiting). Here’s why: This country is changing … rapidly. The capital (Ulan Bator) is filled with derricks building new apartment towers. But you are coming to see the countryside … and that’s why you need to travel now. A few years ago, 40% of the Mongolian population were nomads. Now it’s down to 30%. That’s still plenty to make you know you are somewhere that’s very (very) different … and still very (very) real. But that won’t stay true as the country develops. And, it’s really the countryside that you want to see and experience. 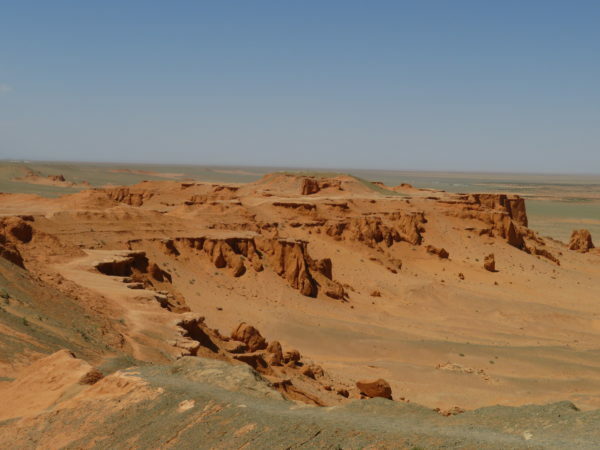 You think you’ve seen REMOTE … you haven’t seen remote until you go to Mongolia. 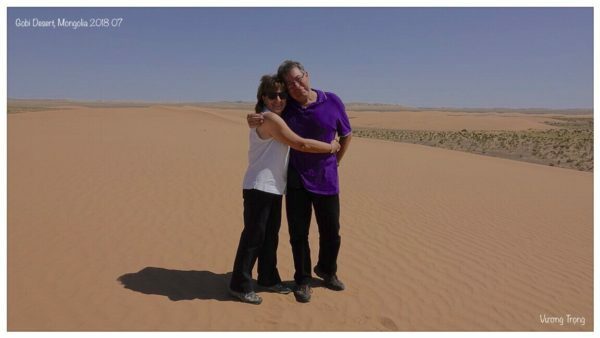 If you are a FIRST TIME TRAVELER with either Overseas Adventure Travel or Grand Circle Travel, please say “you were referred by Jesse Slome, #932019” and you’ll save $100-per-person. We get a 1-time credit for my next trip. Thank you. NOW TO ADDRESS SOME OF THE STUFF WE READ online prior to taking the tour. 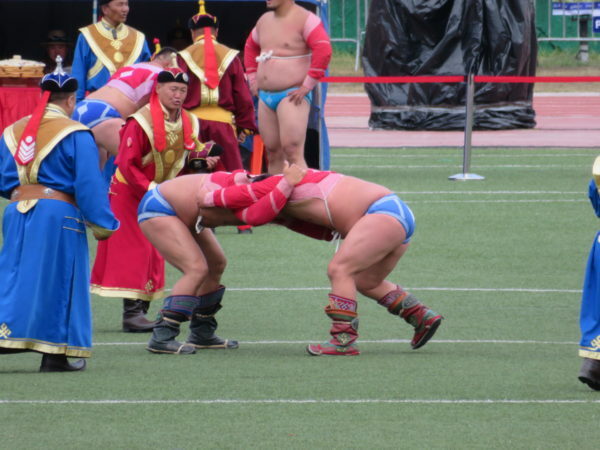 Yes, there’s a lot of meat served in Mongolia. But vegetables were available as were vegetarian meals. That said … ready my tips section. We stayed in three different ger (yurt) camps. OAT has added newer camps … one literally had that new tent smell. 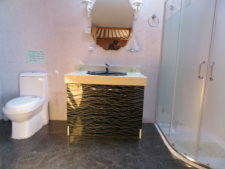 We always had our own private bathroom with toilet and shower. They were great … this is NOT like camping. A FEW TIPS – keeping in mind that this was one of the best OAT trips we’ve taken! Bring Cipro: The food was good and bottled water was provided everywhere in ample amounts. Still, several of us got stomach issues (diarrhea) and only Cipro stopped the condition. You’ll be walking and the roads are bumpy. We did a ton of walking and hiking (which we loved) but if you are not a walker, this might not be the trip for you. Also, most places are about 5,000 feet high. I take BP meds and while I was fine, a few times I said, oooh, I’m dizzy. Don’t overpack: You won’t need anything fancy. That said, you are outdoors a lot so bring rain gear and an umbrella. For women, Mindy says don’t bring walking sandals. Bring hiking shoes and water sandals (like Keens). All the places had hair dryers (so no need to schlep one). Some of the reviews we read said bring coffee or mugs (you don’t need it). For home hosted visits, go to the Dollar Store where you can pick up things for kids and the family. 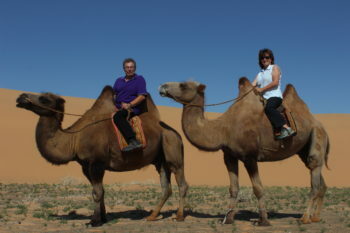 THAT SAID – if you are even thinking of going to Mongolia, GO! I really think you’ll love it. Let me know. And, if you are a first time traveler, please say you were referred by me. There’s no catch (I get just 1 credit) but I’m grateful for the savings as you are.